Check out our website for lobby and drive-thru hours. 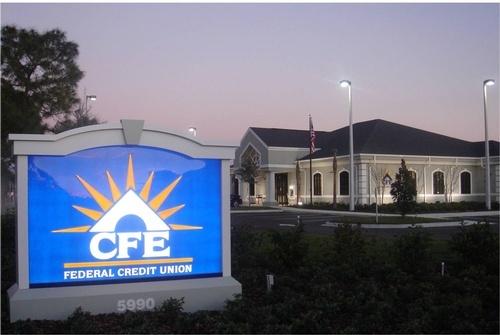 CFE Federal Credit Union is a member-owned; not-for-profit financial cooperative, offering comprehensive financial solutions that help members achieve their financial goals. We exist solely for the benefit of our members, and we return our profits to them in the form of lower loan rates, higher dividends on savings, and lower fees. Our members have built us into a billion dollar institution, consistently rated among top performing financial institutions for our strength and security. And in return, we have been there for our members and the communities we serve throughout Central Florida, since 1937.